Mat woke up with a scream on his lips. His breath came in short gasps. He realized he had been dreaming. The dream had been so realistic that he had almost felt that noose around his neck. He realized that his nerves were slowly beginning to break under the strain. He looked at his watch. It was 1.00 AM. He could not wait anymore. He had to act here and now. He opened up the Google homepage in his iPad and searched for the Octagon Detective Agency, Shimla. Immediately the listing came up and he groaned when he saw the legend: "Consulting Hours - 5.00 AM to 11.00 PM." Should he phone them up now? No, he had to talk to the head of the agency directly. Anyway, just another four hours to go. He would go to their office first thing tomorrow and hire them and get the details he needed. He would impress the urgency of the matter upon them. He dare not try sleeping again. He decided he would take a walk outside the hotel in the fresh air. That would revive him and get rid of this awful woozy feeling inside his head. He gently let himself out of his room and awakened the night clerk and asked him to open the front door. "I will be back in ten minutes," said Mat. The clerk looked dizzy but did not question him. He opened the front door of the hotel and let Mat out. Mat walked down the street. The streetlights were not on. It was a summer night and the moonlight lit up the streets. Mat walked for five minutes and then suddenly he heard a soft tapping sound. Mat whirled around and looked back along the street. There was nothing to be seen. He turned back to continue his walk and suddenly a hooded figure sprang at him from the front. Thankfully for Mat, he had made it a point to do yoga ever since his retirement. His reflexes were as sharp and as quick as they were during his airman days. The face of the man attacking him was covered with a mask. There were slits where the eyes were meant to be. He had a sharp-edged knife in his right hand, which he tried to plunge into Mat's chest. Mat quickly grabbed the hand that held the knife and forced it backward. The hooded man was strong, but Mat realized he was past his prime. Slowly Mat began getting the better of him. Suddenly the man realized that he was losing the battle and with a sudden jerk he pushed Mat backward with all his strength, freed himself and ran as fast as he could. Mat fell flat on his back. He jumped up immediately and ran full pelt behind the man. But the man had too much of a head start. He turned into a side street. Mat rushed into the street behind him, but the man had disappeared. Mat looked around a few streets but the man was nowhere to be seen. Well, thought Mat, that was that. He slowly retraced his steps back to the hotel and reached his room. He picked up his iPad and worked for forty-five minutes. He created a Pdf document omitting no detail about his suspicions and his reconstruction of the case. He attached several images. After he had generated the Pdf file he dialed the number of the Octagon Detective Agency. A night operator's sleepy voice came over the line and said, "Hello, Octagon Detective Agency." "Now listen to me carefully. Wake up your head detective and tell him it is Air Commodore Mathew Williams and he needs to meet him immediately. And do it quickly. Because lives are at stake," barked Mat. Mat could make out the night operator hesitating. Then he said, "The head will be in at 5 AM. Can't you wait till then?" "Listen to me you fool, I need some information and I need it fast. My granddaughter could lose her life while you sit here dawdling. I need to meet your chief detective now. I am ready to pay anything you want," screamed Mat. He realized he had jerked the operator out of his reverie for the man immediately said, "Call back in five minutes, sir, I will get in touch with the chief immediately." Mat rang after five minutes and spoke to the operator, "Did you get in touch with your head?" "Sure sir, Mr. Pramod will meet you at his house immediately. I will give you his address. You can get directions from Google maps." "Thank God," said Mat. The operator gave him the address and Mat thanked him and hung up. Mat had not contacted Vikram for this job as it was very difficult to move the official machinery. He would have to file complaints and he would be questioned and there were a hundred formalities to be taken care of. Vikram's hands would be tied. 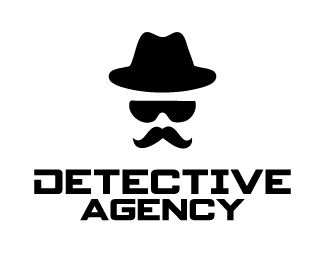 A private detective could make discreet inquiries and get information much quicker. He went down and asked the night operator to open the door again and got into his car and set off for Pramod's address with a silent thanks to whoever had invented Google Maps. Ah, can't believe you fooled us with the dream sequence - nicely done! Who was his attacker? Let's hope the Octagon Detective agency can help him. Thrilling. I read through the previous posts to relate to the story from where i left off and was wondering why the noose ? And here i got to know it was a dream. Oh my god that sounded so real. So that hooded man is a real... Not a supernatural thing. But why someone is trying to kill Mat..? I have many more such questions.. Will keep looking for answers in your coming posts..
Mat is alive and kicking asses, good to see that and also how he is in control of things. Glad it was only a dream but am left thinking about who this hooded fellow is. I am undoubtedly waiting for the next parts. That was clever of you. I am waiting to know what Mat has found out! There a still lot of pieces to put in place. This is getting interesting by each post. Very well done. ha ha ... i didn't expect that. This one has a lot of action and urgency :) Nice work on keeping the tempo going. 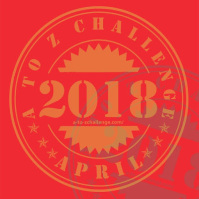 Would love it if you could check out my #AtoZchallenge post on O. This left us absolutely breathless Jai.. again, hats-off to your awesome storytelling skills ! I decided to read the weekly digest together. Thank God Mat is alive. The tension is building now.